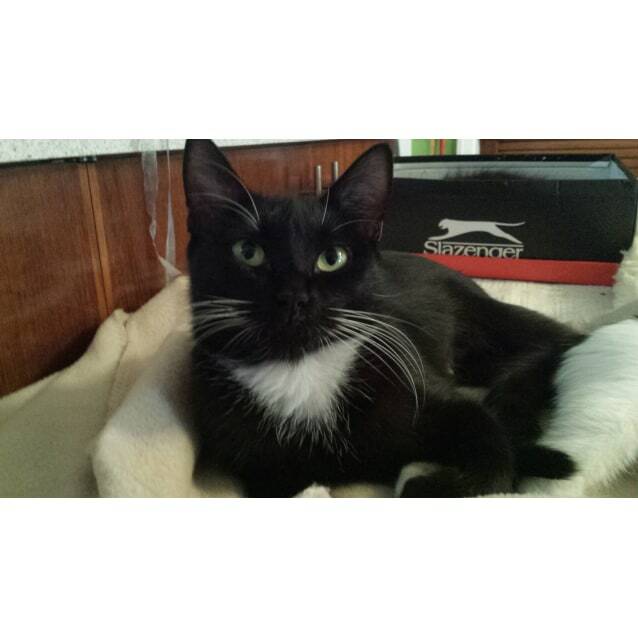 Aisha (Eye-sha) is a petite, young adult cat. 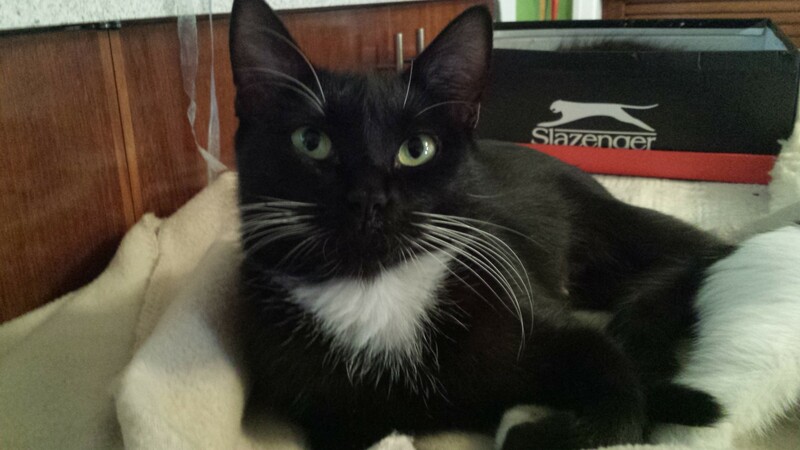 She is black with delicate white booties and a splash of white on her chest. Aisha is very companionable. She likes being around her humans. She sleeps beside you in the bed and in the mornings sits on the bench in the bathroom to have a chat about the upcoming day. And then she follows you into the kitchen for more conversation and the hope of breakfast biscuits. As she gets older she is increasingly becoming a snuggle bunny. Before lights out, she enjoys sitting on top of her foster carer in bed, purring loudly, while another chapter of a book is read. Sit down in a comfy chair and she will get on your lap for a stroke. She is happily an indoor and outdoor cat. At her current foster home she sleeps inside and then uses the cat flap to come and go during the day. Aisha currently lives with three other cats and two dogs. She copes extremely well with the dogs. She will put up with their enthusiastic attention until they cross a line, and then there is no doubt that Aisha is boss. Aisha has no qualms about trying to share the dog's morning biscuits. She is not so keen on the other cats and will hiss at them if they invade her personal space. She is a very independent girl. 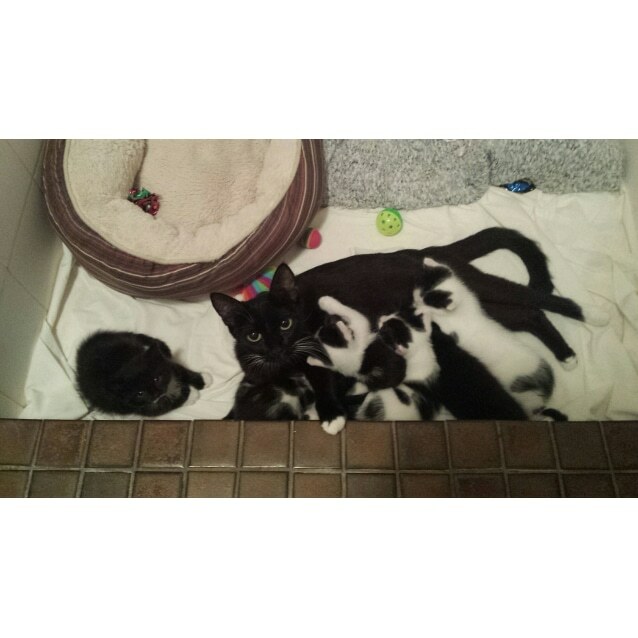 Aisha came into care with 6 beautiful black and white kittens, all of whom have now been adopted. It is now Aisha's turn.